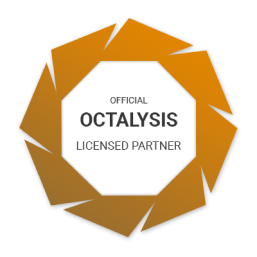 The Octalysis Framework has been translated into over 16 different languages and became classic teaching literature in the Gamification space worldwide. We are happy that Yu-kai’s Octalysis is so popular and we strongly support the dissemination of his Thought Leadership. The Octalysis Framework is copyright protected IP and can be used for Fair Use & Public Domain only. 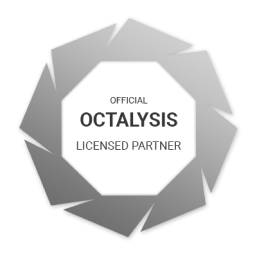 However, companies can use the The Octalysis Framework for commercial use by choosing an Octalysis Gold, Silver or Bronze package below. Each partnership can be tailor-made for your specific needs. Add in-depth Octalysis training; secure our Business Development advice or even get long term Octalysis coaching for your staff. 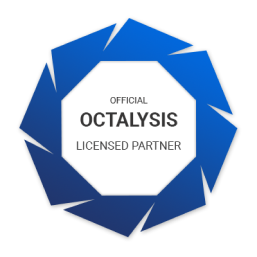 We want to make your Octalysis journey a success and our team of professionals is there to help you hands-on with your first Octalysis Gamification projects. Just want to show your enthusiasm for Octalysis on your company website? Try the Octalysis Hero program! 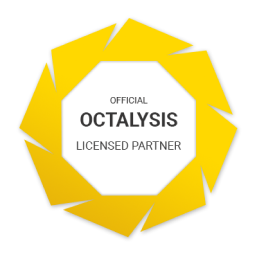 The Octalysis Gold Program is suited for those companies that want to leverage the full power of Octalysis to their business. Your team will be trained to become full Octalysis experts, ready to create engagement that ensures high ROI impact in your products and with your clients. The Octalysis Silver Program is crafted for small to medium size companies that want to get serious about becoming a real Gamification driven business, without making a large upfront investment. Ideal for companies that have some exposure to Gamification and want to expand to a larger market. The Octalysis Group will assist you with that expansion and ensure that your staff is ready to deliver top quality Octalysis designs within your organization or with other clients. Join the Silver Program and profit from our strategically discounted prices on our services and our guaranteed full hands-on training and coaching! The Octalysis Bronze Program is the easy solution for well established small companies that are making their first steps in the Gamification market. The low monthly subscription fees make this option ideal for companies that are still developing their revenue stream, and are looking for a low-risk, high output program. Get all the essential Octalysis training you need from the best Gamification experts in market, for a very attractive fee. Show your prospective clients that you are a serious Octalysis outfit without incurring any significant costs. This program is our small company favorite! The Octalysis Hero Program is perfect for those companies that are enthusiastic about the possibilities that Octalysis offers for their businesses, but have no solid client base yet. As an Octalysis Hero you can signal to your (potential) clients that you are inspired by the Octalysis Framework without incurring the cost of being a fully fledged partner. This way you can join us in our exciting journey to spread the world number 1 Gamification/Human Focused Design framework across all continents. Oh did we already tell you that the Octalysis Hero Program is free of cost? Once you gain your first client, we can discuss a much deeper partnership where you actually get the use rights for our IP. At the same time, we are available to assist you with the proper training and coaching to ensure your success in client acquisition as a nascent Octalysis business.